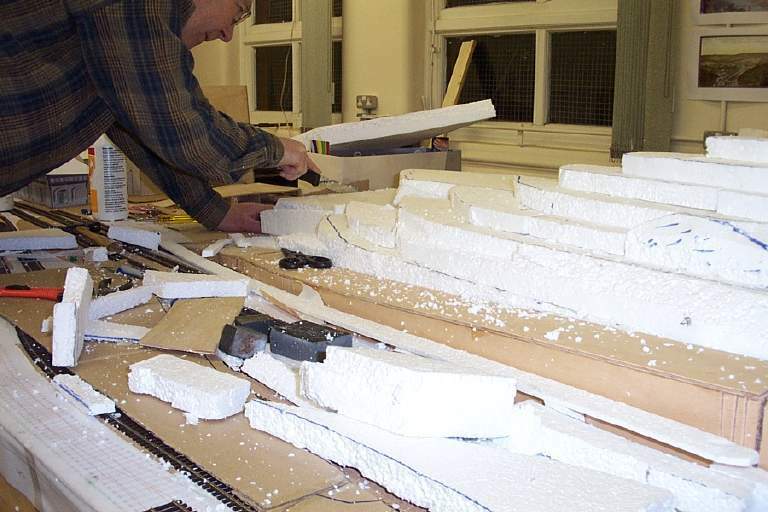 Chris, Ian and Steve have been working on a permanent version of Mount Pisgah and have made a wonderful mess sawing up polystyrene sheets. 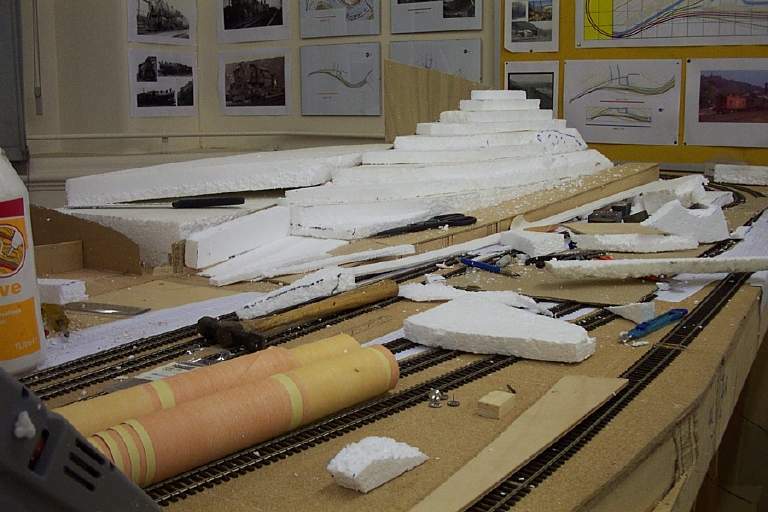 Paul has been finishing Flagstaff Mountain and playing with the trackwork. Steve has continued tracing photos of Susquehanna Street on his computer and some new pages have been added to the website to provide access to them. 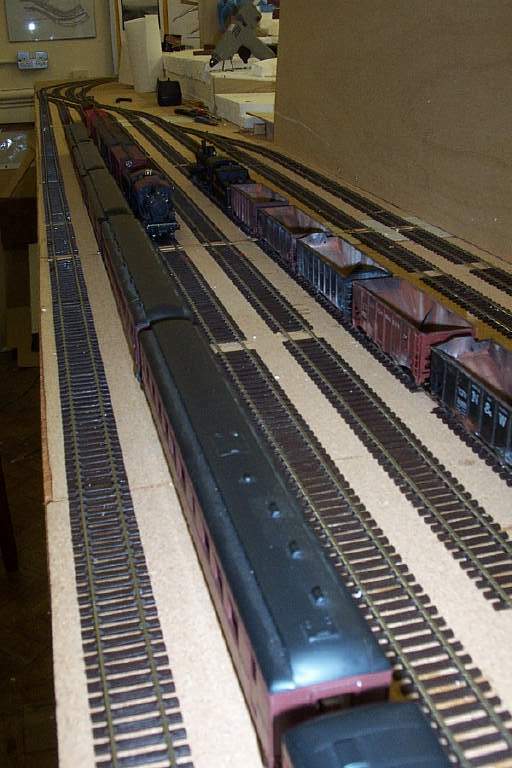 We have all had a go at weathering our rolling stock and some of this can be seen in the photos. 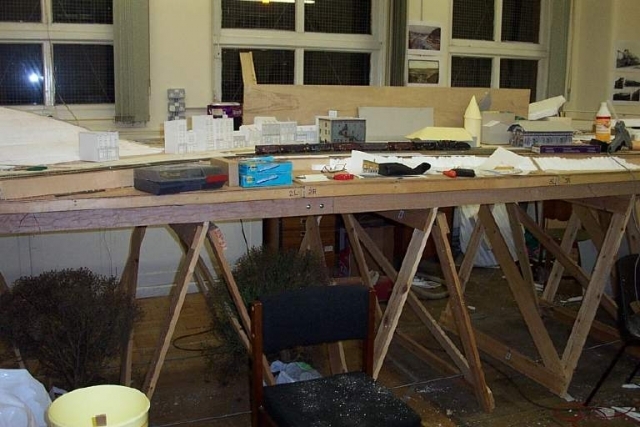 The photos below were taken on February 28th and the open night on March 7th. 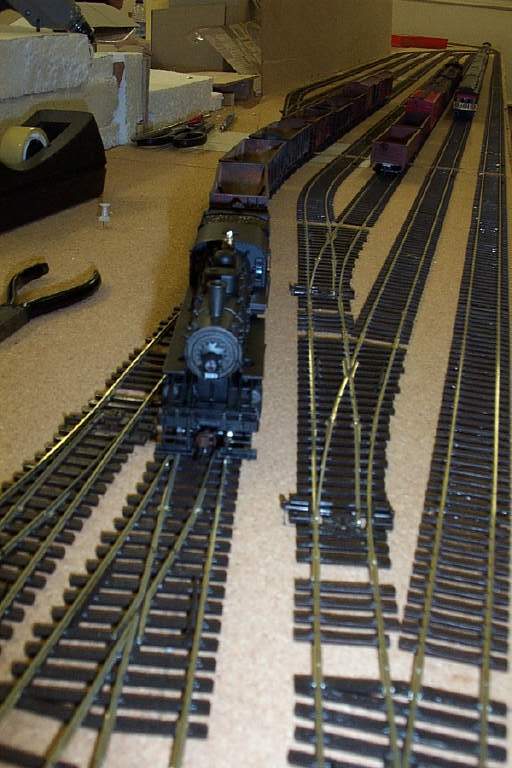 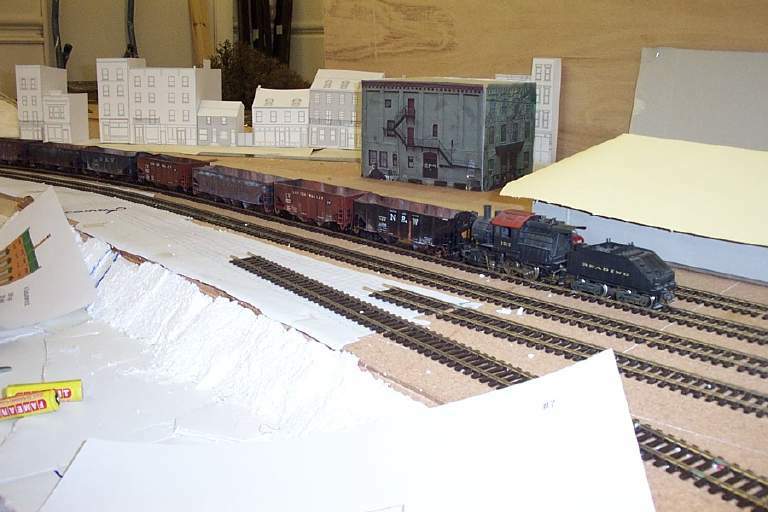 Photos show Chris constructing a mountain, the staging yard finished and some weathered coal hoppers. 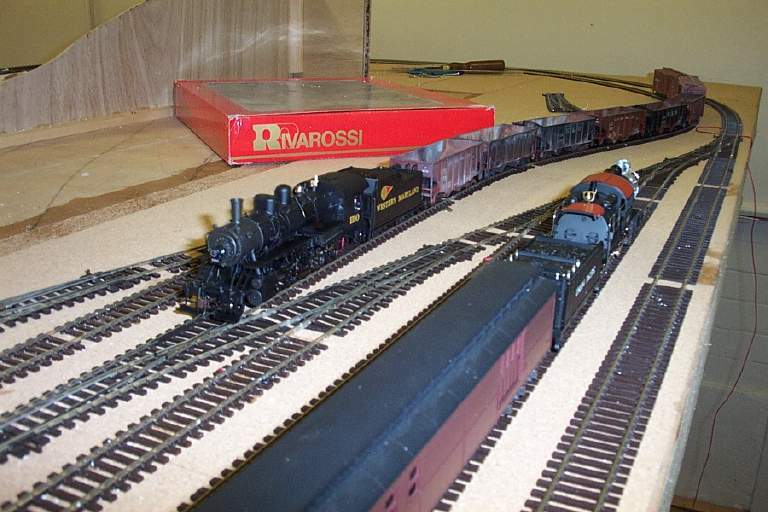 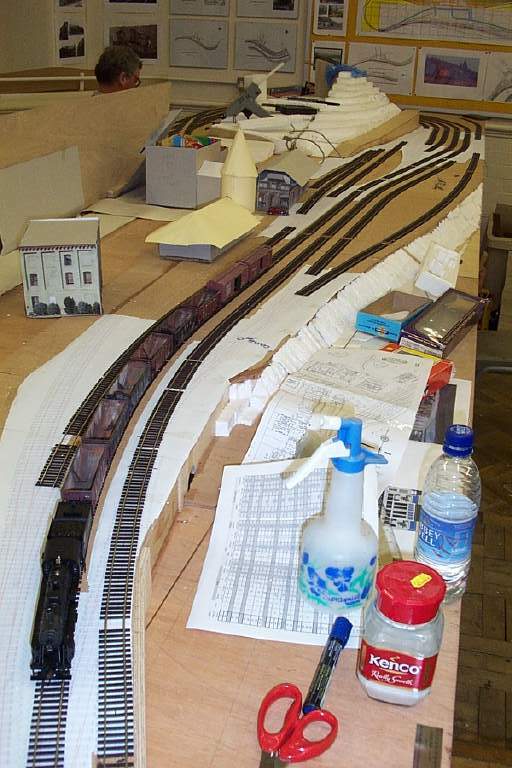 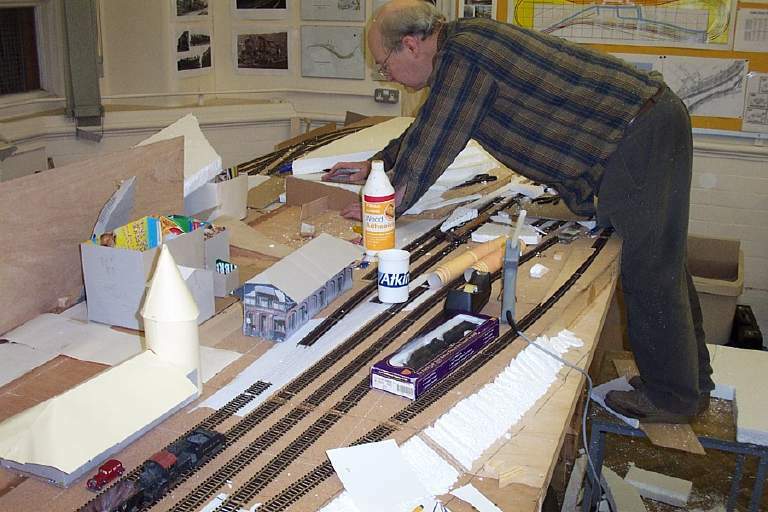 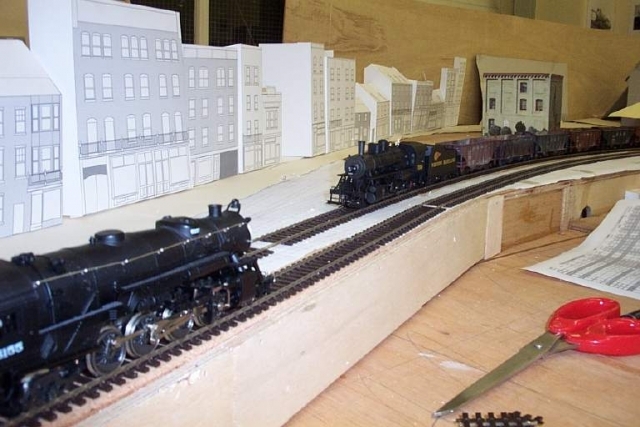 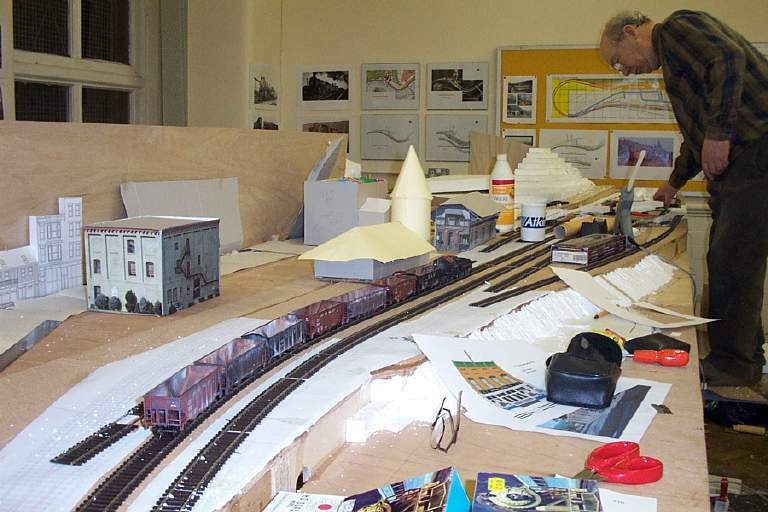 This entry was posted in 2003, Progress and tagged scenery, track on February 28, 2003 by Steve Hales.